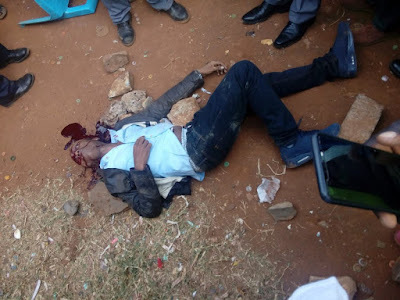 Tuesday, April 9, 2019 - There was shock and drama after a sixth year medical student at Moi University was hacked to death by her boyfriend at the Moi Technical and Referral Hospital in Eldoret in broad daylight. 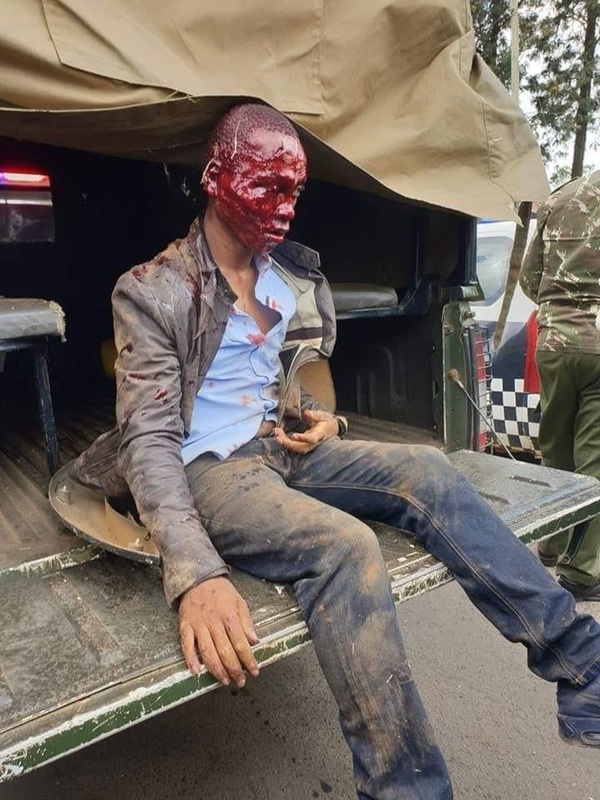 The man identified as Naftali Kinuthia, an employee of a Nairobi based betting firm, used an axe to hit his girlfriend in the head and cut her neck with a sword as members of the public scampered for safety. He then left her to die in pain. The Kenyan DAILY POST understands that the smartly dressed man used a gunny bag to conceal the killer weapons when he accessed the hospital. 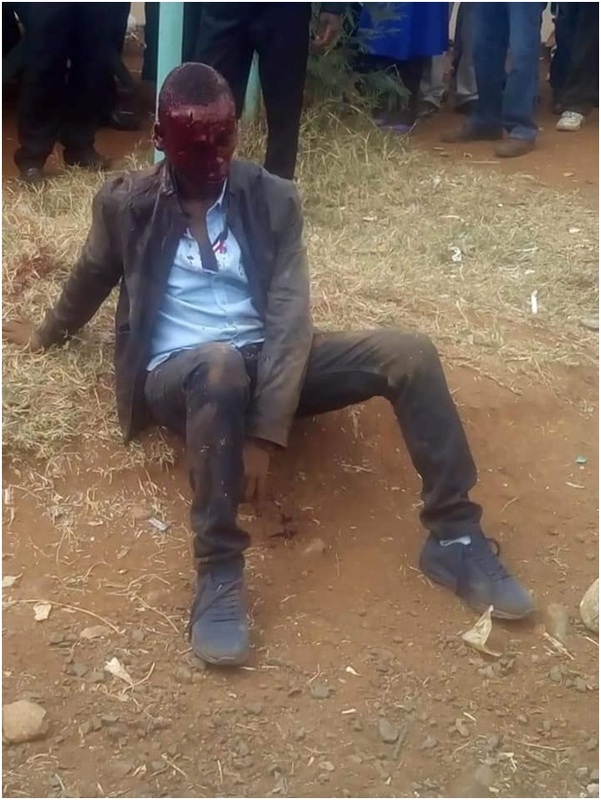 He tried to escape after committing the heinous crime but he was cornered by boda boda riders who gave him a dog’s beating before police came to his rescue. He had travelled from Thika using a personal car KCB 836P. Here are photos of the merciless man. 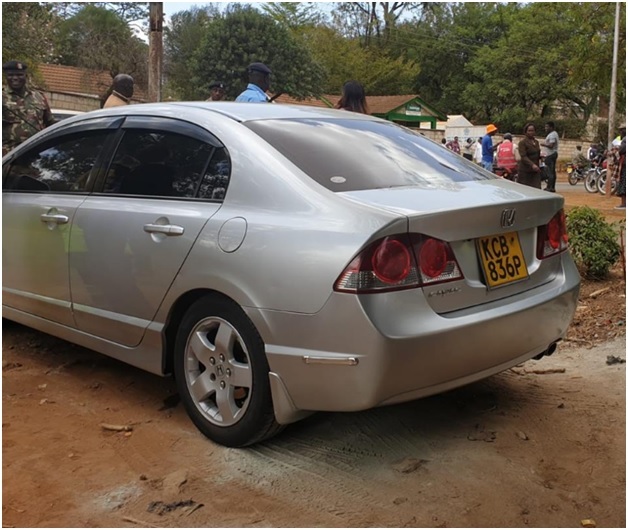 This is the car he used to travel from Thika to Eldoret where he hacked his girlfriend to death. He should have been taken to hell. Hao boda walienda polepole Sana. What is HIV?In this age of science? People are leading very healthy,long lives despite the virus. Ngoja sasa the guilt itampata viproper in jail where he'll remain alive for so long wishing for death. Woi Mungu amsaidie tu.